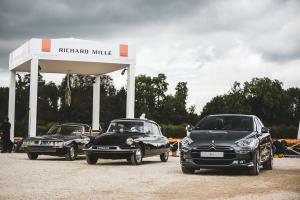 Visitors will get a brief insight into the history of France's Fifth Republic when they go to the special area set aside for the DS – which became French group PSA’s third largest brand in 2014. 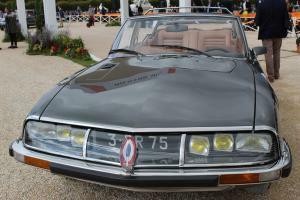 Citroën was already popular at the Elysée Palace during the last few years of the Fourth Republic. René Coty drove a 15 Six built by French coachbuilder Franay, then from 1956, a convertible four-door limousine built by coachbuilder Henri Chapron. 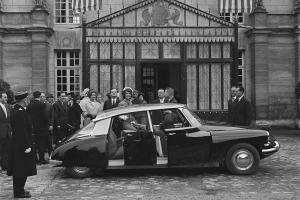 Then with the establishment of the Fifth Republic and start of Charles de Gaulle’s term as head of state, the DS became the presidential car. 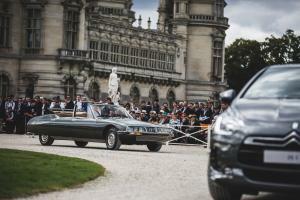 He was first seen in public in a DS 19 in 1962 during a visit to eastern France. With a license plate that read 3 PR 75, this DS was different from other mass-produced models insofar as it had a canvas roof that could be manually folded back towards the rear. This meant that the president could stand while waving to the crowd. The General even drove a DS for his personal travel. This highly comfortable Citroën saloon saved his life on 22 August 1962 when he was the target of an assassination attempt in Clamart, in the south-western suburbs of Paris. 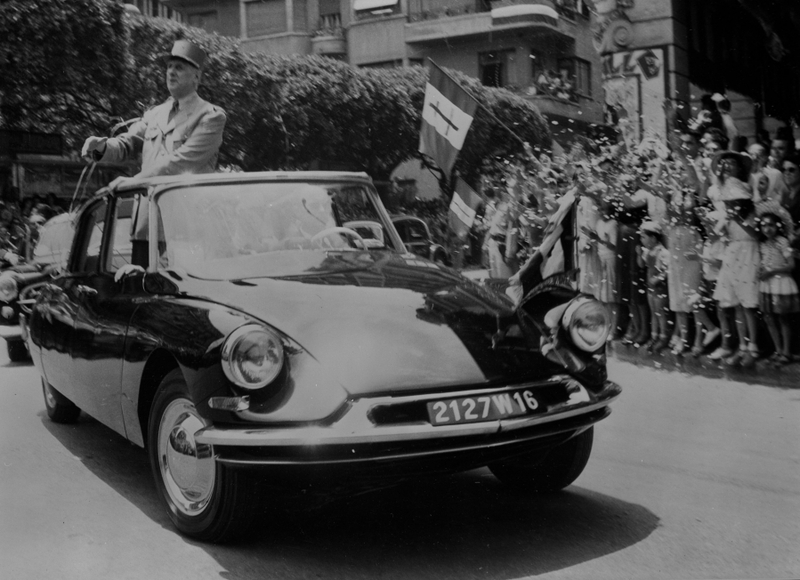 In early 1968, the president's offices contacted Citroën and asked them to produce a new ceremonial car based on the DS. Ultimately, the convertible limousine project was postponed and a few days before Christmas 1968, Pierre Bercot, Citroën’s Chairman and Managing Director, delivered a respectable 6.53 m long limousine to the Elysée Palace. Chapron’s workshops were tasked with building it. Although from the front it looked like a standard DS, the designs of the headlamp sockets, bumpers and indicators were all different from the factory model. In addition to the vehicle's highly personalised curves and the bodywork painted in two shades of grey, the 1 PR 75-registered DS featured a three-coloured luminous rosette made from a thick block of plexiglass at the end of its bonnet. The DS 21's 106 hp engine was admittedly a little small to power the new 2.2 tonne presidential vehicle, but the passenger compartment was of an unprecedented level of luxury, featuring leather seat work, walnut wooden panels and a number of fine gold decorative items, as well as a mini-bar. The space at the back was extremely generously proportioned and featured a seat for two people as well as a collapsible jumpseat on which one sat with one’s back to the road. The General took his new DS out for the first time when he visited President Bokassa of the Central African Republic. Georges Pompidou was the last French head of state to have a real passion for cars and ordered two convertible SMs when he became president. Also built by Chapron, these ceremonial vehicles (registered 2 PR 75 and 3 PR 75) were delivered at the end of April 1972, and then on 15 May. These SMs continued to be used by François Mitterrand and Jacques Chirac. In 2012, François Hollande was driven in a DS5 at the start of his five-year term. This love affair between French presidents and the DS continued through to May last year with the ceremonial investiture of Emmanuel Macron, the eighth president of the Fifth Republic.